This show was broadcast on August 20, 2014. Jeff Sawin is a Las Vegas, Nevada mainstream radio host who doesn’t care if he gets fired – he’s going to tell the truth and take the consequences. 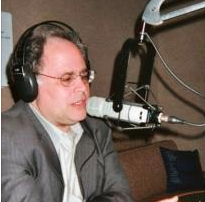 Last week Jeff brought me on his show to debate a neocon-Zionist radio host named Chuck Morse. The results weren’t exactly pretty – but they were pretty lively…so much so that Chuck is going to bring me on his show at 10 a.m. Eastern next Monday, August 25th. This episode of Truth Jihad Radio features the debate with Morse and Sawin from last week. It is still. The camp waits, as if holding its breath. And then, out of the dry furnace air, a disembodied voice crackles over a loudspeaker. The boys dart in small packs up the sloping dunes to the electric fence that separates the camp from the Jewish settlement. They lob rocks toward two armored jeeps parked on top of the dune and mounted with loudspeakers. Three ambulances line the road below the dunes in anticipation of what is to come. A percussion grenade explodes. The boys, most no more than ten or eleven years old, scatter, running clumsily across the heavy sand. They descend out of sight behind a sandbank in front of me. There are no sounds of gunfire. The soldiers shoot with silencers. The bullets from the M-16 rifles tumble end over end through the children’s slight bodies. Later, in the hospital, I will see the destruction: the stomachs ripped out, the gaping holes in limbs and torsos. Yesterday at this spot the Israelis shot eight young men, six of whom were under the age of eighteen. One was twelve. This afternoon they kill an eleven-year-old boy, Ali Murad, and seriously wound four more, three of whom are under eighteen. Children have been shot in other conflicts I have covered—death squads gunned them down in El Salvador and Guatemala, mothers with infants were lined up and massacred in Algeria, and Serb snipers put children in their sights and watched them crumple onto the pavement in Sarajevo—but I have never before watched soldiers entice children like mice into a trap and murder them for sport. This entry was posted on Wednesday, August 20th, 2014 at 7:28 am	and is filed under 9/11, Anti-War, Censorship-Propaganda, Death Squads, False Flag/Fake Terror, Freedom, Justice, Kevin Barrett, Martial Law, News, Occupation, Protest, War Crimes. You can follow any responses to this entry through the RSS 2.0 feed.